TV’s Dr. Oz endorses Hypnosis to help lose weight, stop smoking & more! Why Choose Master Hypnosis Center? Master Hypnosis Center of Fort Worth offers businesses and individuals the opportunity to focus on issues which affect their daily and long-term issues and concerns. We adhere to a personally tailored program that follows through to success. Now Offering Virtual Gastric Band Hypnosis. Lose weight now without surgery! As endorsed by Dr. Oz and 60 Minutes! Your Master Professional Hypnotist, Sid Acker, BCCH has over forty years of helping people realize their potential that may lead them to live better lives by quitting smoking, losing weight, overcoming anxiety and much more! 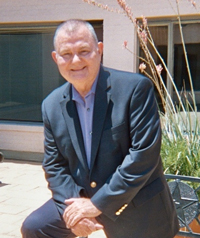 Sid Acker is a Certified Master Hypnotist who has helped clients for over 40 years. Call today for appt.! We also offer solutions for children especially with issues related to fear. Our Sports Performance for Youths has been proven to enhance performance not only in sports but in life. Check us out today! We are able to help you both locally in the Fort Worth area and across the nation! We work by Skype and by phone. I’LL GET YOU THE ANSWER. 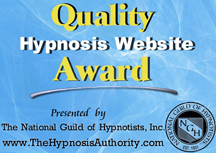 Hypnosis can Help – NOW!